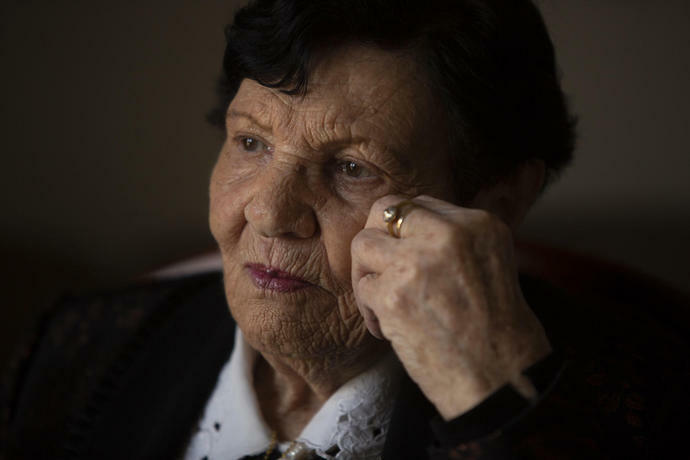 JERUSALEM (AP) -- As the world commemorates the anniversary of the liberation of Auschwitz on International Holocaust Remembrance Day Sunday, death camp survivor Cipora Feivlovich marks her own personal milestone as she turns 92. Six million Jews were killed by the Nazis and their collaborators during the Holocaust, wiping out a third of world Jewry. Israel's main Holocaust memorial day is in the spring - marking the anniversary of the Warsaw Ghetto uprising. The United Nations designated Jan. 27 as the annual international commemoration, marking the date of Auschwitz's liberation in 1945, the day Feivlovich turned 18.